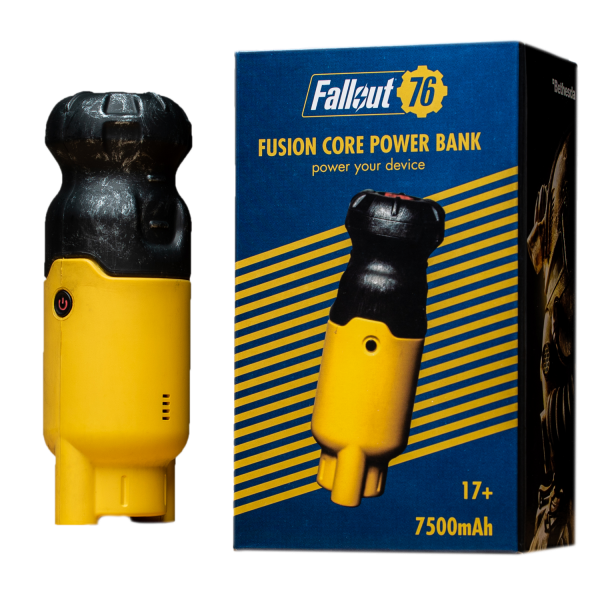 This powerbank with 7500mAh capacity looks like a Fusion Core which is used to power anything from Power Armors to vehicles or generators in the Fallout universe - Now your gadgets can profit from the power of a Fusion Core, too! The powerbank comes with a cable that's compatible with iPhone and Android devices. 4 LED segments show the charging status of the powerbank, which can be turned on and off with a light-up button on the side. Manufactured by DPI.